I'm so excited to reveal this cool table I just finished about an hour ago. I purchased it from one of my favorite local thrift stores. 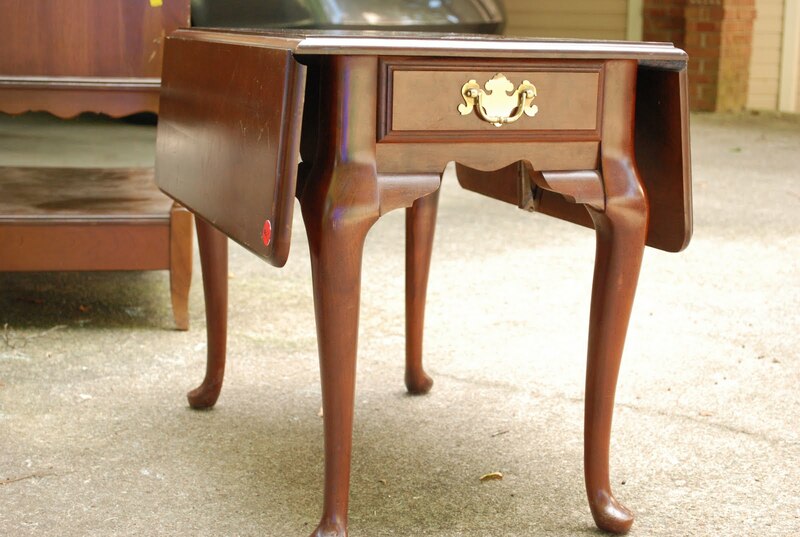 I'm really into side tables these days. I hope there is a demand for them, because I've got several lined up to be refinished. I took a different approach with this one, I loved that it had two drop leaves on the sides. 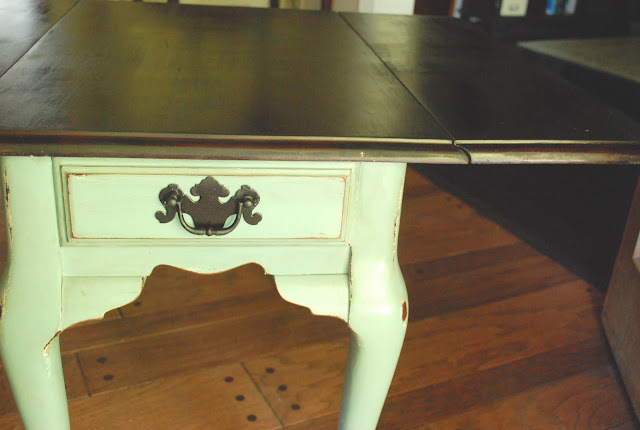 Very versatile, for almost all your side table needs. I sanded the tops down to bare wood and put a dark walnut stain on it. I really wanted to do a color, so I went up to Lowe's and chose a cool turquoise called Woodlawn Valley Haze by Valspar. It wasn't exactly what I wanted, but close enough. I ended up adding a touch of black to it to calm it down. I hope you all have a fantastic holiday weekend! I am your newest follower, come to visit my blog. That turned out so pretty! 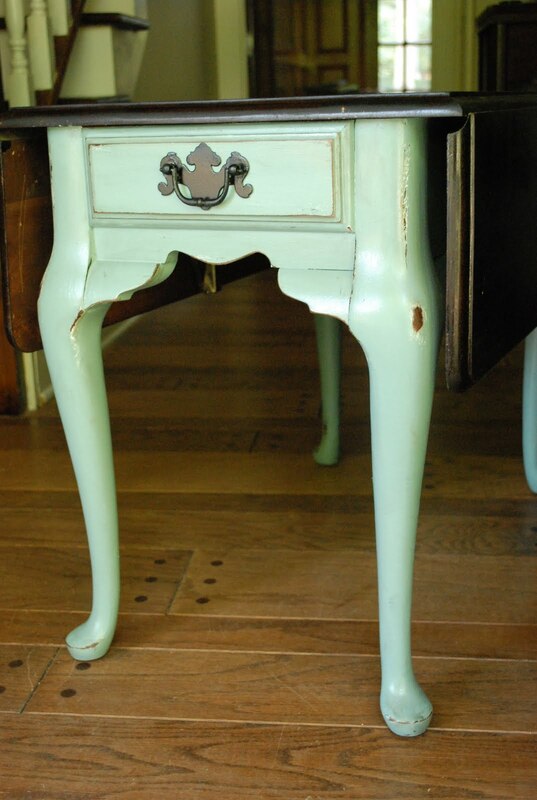 Usually you see the dark wood tops with white, but I love the turquoise color. I think it will sell in no time flat! That table is beautiful. I love that it is drop-leaf too. Very nice job. Thanks for sharing. I LOVE the use of colour - just beautiful! Oh my ~ beautiful job!! Love that color! That is beautiful! I love the color you chose; way to go! Absolutely beautiful! The table itself is charming, but the color just turns it into something really special! LOVE IT! 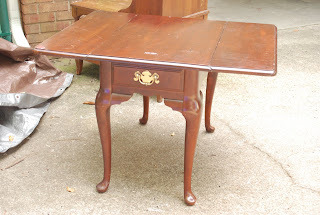 Oh I love that side table. Very nice. Thanks for sharing. 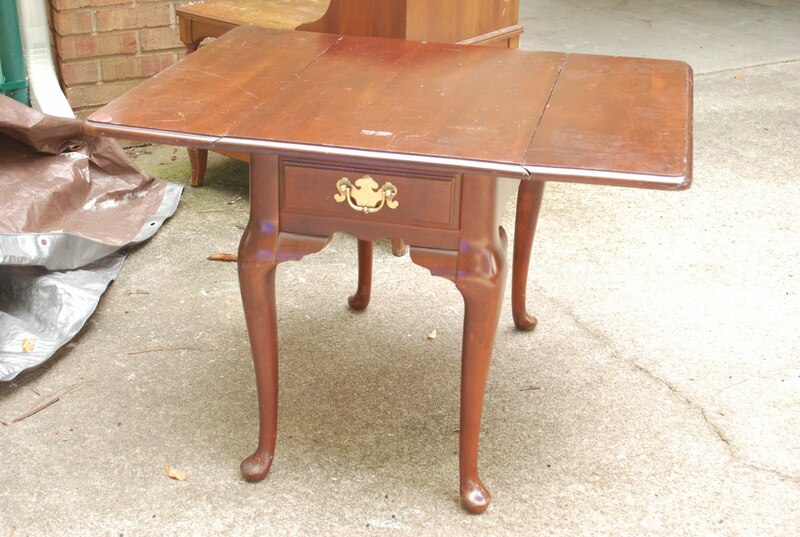 I JUST bought a table almost exactly like this. Still pondering what I want to do with it. I like the idea that you made the top different. Hmmmmmm... decisions, decisions!! :-) It turned out beautiful!! Thanks for sharing! Oh, I love the 2 toned look. The color is so nice, and it really pops with the dark top. I'm also a huge fan of distressing! Great job! love the colour! really cool makeover! Gorgeous! 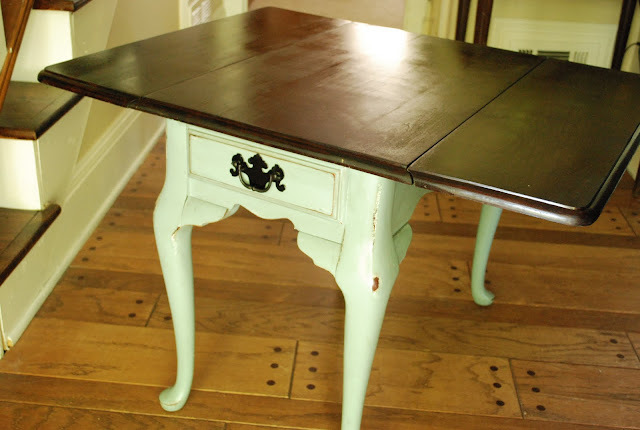 I love that color with the dark walnut top. some redo's are cute, but his is beautiful! It looks so high end! I'd love to know the technique you used. This is exactly the look I want for my kitchen cabinets, which will be a peacock blue. I like the 'weathered' look! Beautiful makeover I love it!! 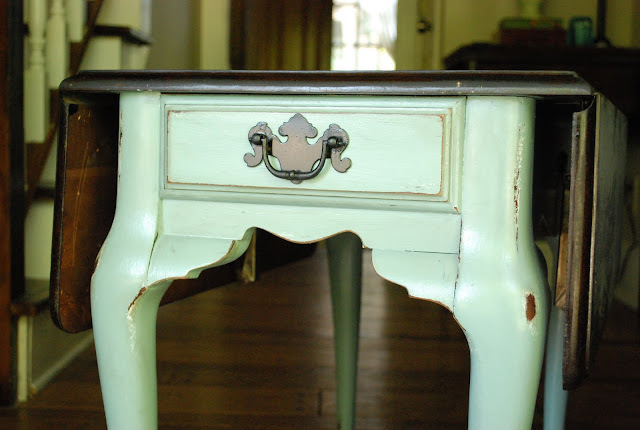 I happened upon your blog today from House of Turquoise and I have to tell you that I am SO excited to see this drop side end table idea. I have two of these that were handed down to me and I have been so nervous to paint them like I wanted to until now! Thanks for sharing this idea. Out of curiosity, how much did you sell it for?